This scholarship is intended to support female Koori students who intend to enter an approved TAFE or university course in a field that contributes to the welfare of the Koori population. Applications are made through the Department of Education and Early Childhood Development. UOW offers a range of scholarships to acknowledge academic or sporting excellence, to provide support to students in need and to recognise leadership and community engagement. 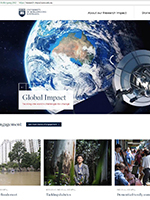 Further information can be found on the Scholarships at UOW website.